At the Shanghai World Expo, the Belgian - European Union hall is the most popular one of exhibition halls, not only because of its orthodox school delicacy's Belgian chocolate, also it has the total value several billions luxurious diamond displays and sale. The diamond display porch to demonstrate Antwerp's precious diamond and the jewelry every day for surpass 50,000 people of visitors. “the Antwerp world diamond center expenditure large amount of money in the World Expo Belgium hall display, which is exactly the best way that demonstrates its image to the Chinese consumers.”Belgian hall diamond display porch inspector general said. If the tourist wants to select and purchase the diamond in the Belgian Hall Diamond Department, they might enjoy to the imperial family member treatment. VIP selects and purchases room located at the entire diamond department's central place, the short several meters need to lead the visitor by the professional service personnel through 3 entrance guards, only then may see the experienced diamond expert, measures the body for the visitor to select and purchase most suits diamond. 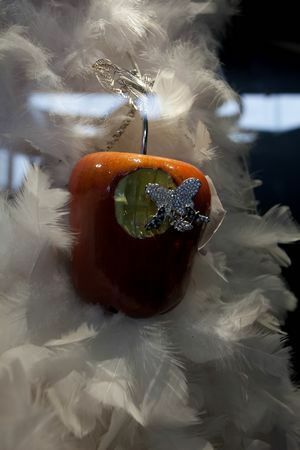 In fact, the Belgian Antwerp's diamond reputation outside, the price is not poor. According to diamond display porch's assistant Liu Jie Ting introduced that the diamond color, the precision and so on numerous factors can affect theirs price, but the Antwerp province's diamond is world famous by the cuts technology, Africa, South America produce the best diamond, which is hoped that delivers here to cut; Therefore, Antwerp diamond is also more expensive than other place. The diamond display porch's diamond is measurement by divides and a carat (1 carat is equal to 100 points). Because the rank is different, in the porch 80 point diamond price is from RMB 8000 to RMB 500,000; the most popular diamond which in the diamond porch, the price sector probably is 1 carat RMB 40,000 to RMB 200,000. The most customers are willing to buy bare diamond, the diamond display porch's specialized cutting teacher according to their desire,polishes to ring, the ear nail, the necklace and so on each kind of types. Even if such expensive diamond, diamond sale still hot sale to described. 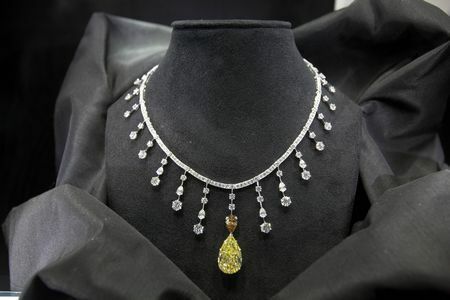 Diamond porch's assistant for manager Liu Jie Ting is not willing to disclose that their daily sales volume, actually politely indicated that on June 13 Belgian country hall date that it has sold 10 carats for one day. “Also the sells is also very good of other time, even surpasses our original estimate, the major part consumers are the Chinese.